This golf cart tire and wheel combo is excellent for use on turf, pavement and gravel. This is a complete set of Golf Cart Tires and wheels. You will receive (4) 8×7 white steel wheels with (4) (18×8.5×8 4 Py) RHOX Sawtooth DOT/Turf Approved Golf Cart Tires. 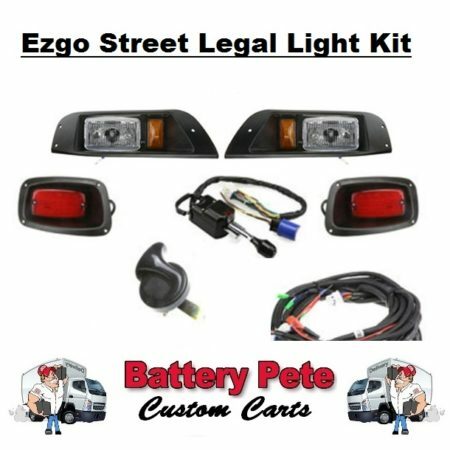 (Will fit ALL popular Golf Carts)(Club Car, Ezgo, Yamaha) Note-Does not include center caps and lug nuts. Great quality meets great value with all of Pete’s standard size golf cart tires. Pete says, All orders over $99 ship free in the 48 states. So order your set today and save BIG!!! If you are looking for a quality set of new golf cart tires and wheels you have come to the right place. Great quality meets great value with all of Pete’s standard size golf cart tires. This product listing is for a complete set of Golf Cart Tires and wheels. You will receive (4) 8×7 white Steel wheels with 4 on 4 bolt pattern (Will fit ALL popular Golf Carts)(Club Car, Ezgo, Yamaha) with (4) (18 x 8.5 x 8) RHOX DOT and Turf Approved 4 Ply Golf Cart Tires. (Sawtooth Tread Pattern designed for golf courses.) Note – Does not include center caps and lug nuts. 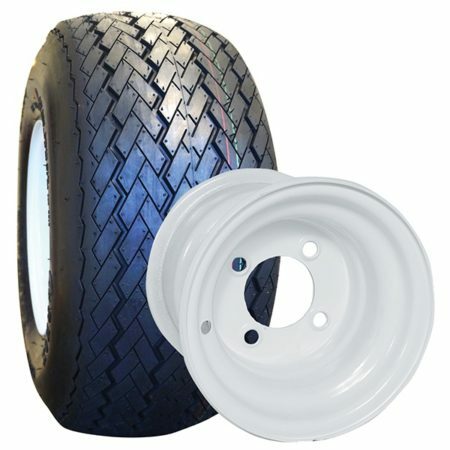 Be the first to review “Golf Cart Tire and Wheel Combo 8×7 Steel White” Click here to cancel reply.